Moments In Time: Do You Want This Desktop Calendar? 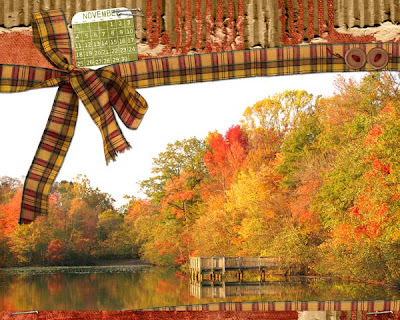 This is the desktop calendar for November 2007 that I made using Whatever Mama! By Jessica Bolton, which I referred to in my previous blog entry. Staples are from Study Buddy page set by Michelle Shefveland at CottageArts.Net. And, if you would like to download your very own high resolution copy of this calendar, click HERE and then head on over to Jessica Bolton's blog, where you can see other scrapbook page layouts doen with this wonderful kit.